Easy and Easier, that is how the variations of this project are best described. 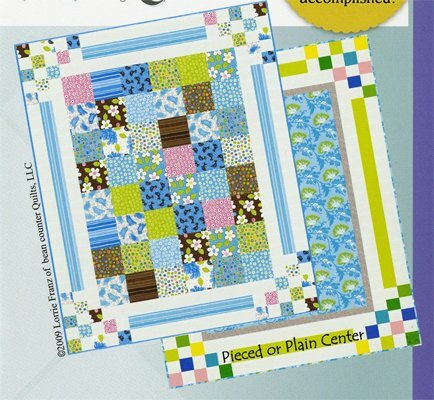 Use precut charms, simple squares, a framed-up panel, or a large scale print. Got on your way to a bouncing good time. This is a fabulous pattern for getting beginners going. Precut charms will eliminate the first batch of cutting and they can get off to a successful start. PANEL and Fat Quarter Friendly. A go to pattern that can be kitted again and again!